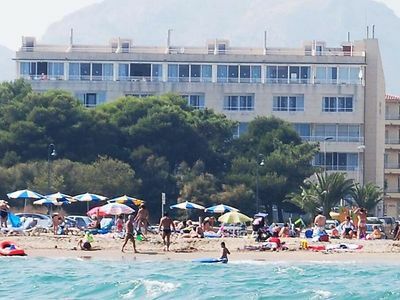 If you are looking for a holiday home in Majorca with a higher standard of accommodation and the right requirements, then you can see it right now. 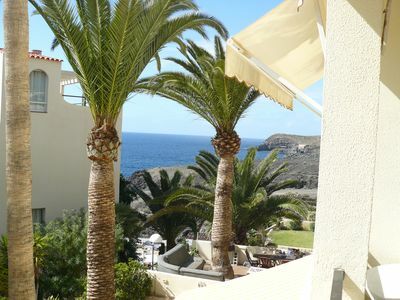 The holiday house CATALEYA, on the romantic east coast of Majorca, more precisely between Cala Dor and Porto Pedro. Striking, when you come to this area by the sea, the white houses are in very modern style. As you can see from the bird's-eye view, the houses look like dice in a green scrubland landscape, loosened by the typical Mediterranean trees, the tall pine trees. In this Mediterranean flair, you immediately get a holiday mood that takes you to CATALEYA. Since arrived, waiting for the holiday guest is an interesting surprise. This house is also white and cubist, but also underlines the modern form with its equipment. Here was a designer at work, someone who understands a lot of colors and patterns, an equipment expert with good taste. This proves itself not only in the outdoor area, but also in the interior of the pretty holiday house. 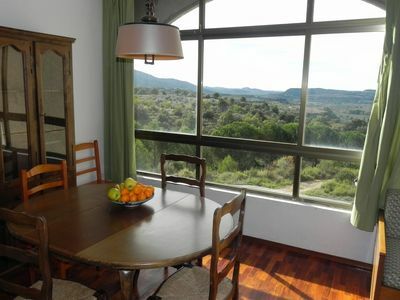 Through the large windows of the sliding doors, a lot of light falls into the holiday house and makes the colors of the furniture and pictures light up. The dining area next to the kitchen area shortens the way to the holiest of a cook. Also modern and up to date, how could it be different in this house, it is really fun in this kitchen to show the family and the friends more cookery than the usual standards. Especially in the supermarkets of Majorca there are numerous country-typical treats at the refreshing bars, but also waiting to simmer on the garden grill of CATALEYA. The upper floor of the cottage is dedicated to the three bedrooms and two bathrooms. From the sleeping rooms you have direct access to the upper terrace through the sliding doors, from which you have a panoramic view into the surroundings. To one of the bedrooms is connected with a bathroom en suite. Doubtless is the highlight of the pool in the outdoor area of ​​the holiday house CATALEYA. In pictures one can only guess dimensions, so the small note, not only the shape of the pool can be seen, but its length of 11 meters as well. Just 500 meters away is the sea, and on the left and right along the turquoise waters you will be surprised by many picturesque bays, which are particularly suitable for snorkelling. CATALEYA belongs to the category of holiday houses, which are not built according to the 08/15-style, but have a class and therefore also offer something special. 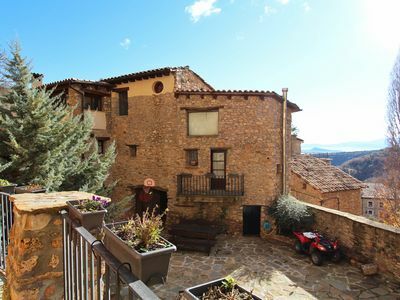 Beautiful home with private garden in medieval village. Swimming in nearby lake. 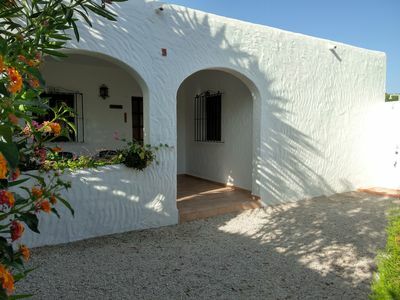 CASA CELESTINA 63 m² with pool, bike, kayak, safe and internet WIFI. 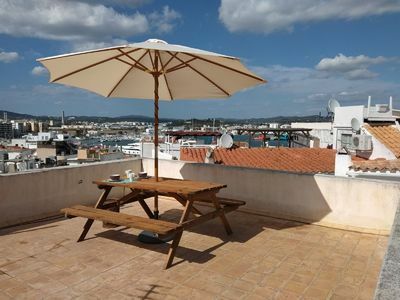 Duplex house with terrace and wonderful views of the sea and the cathedral 5 people.